More than 120 takes. 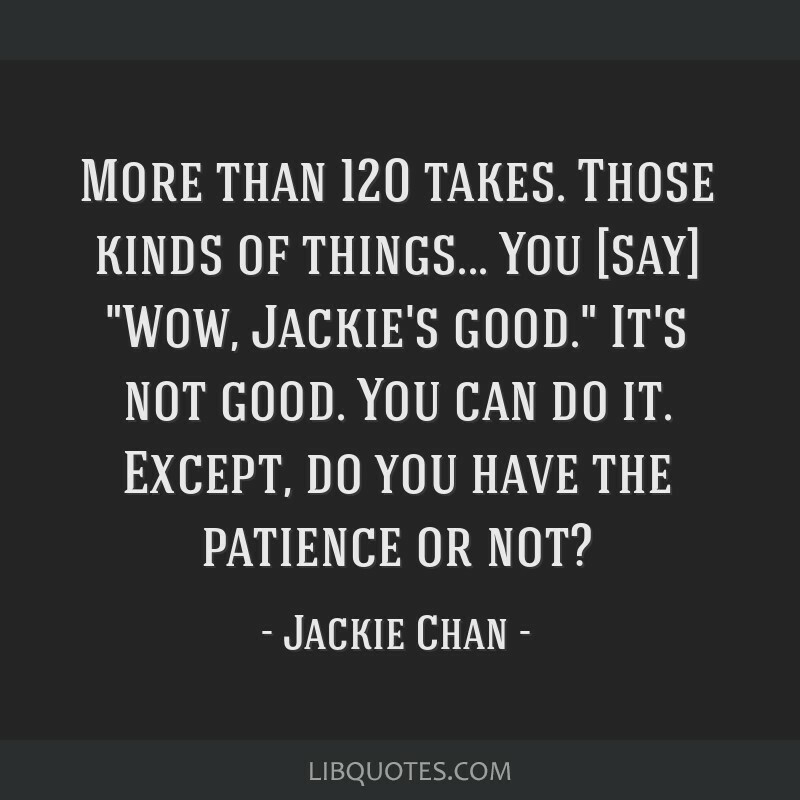 Those kinds of things... You [say] Wow, Jackie's good. It's not good. You can do it. 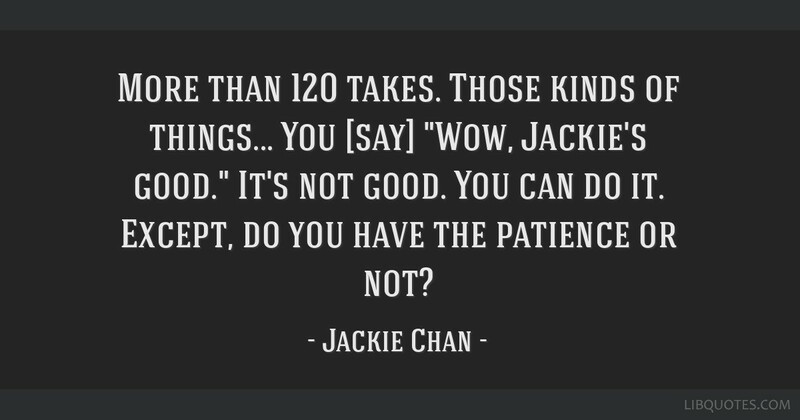 Except, do you have the patience or not? More than 120 takes. 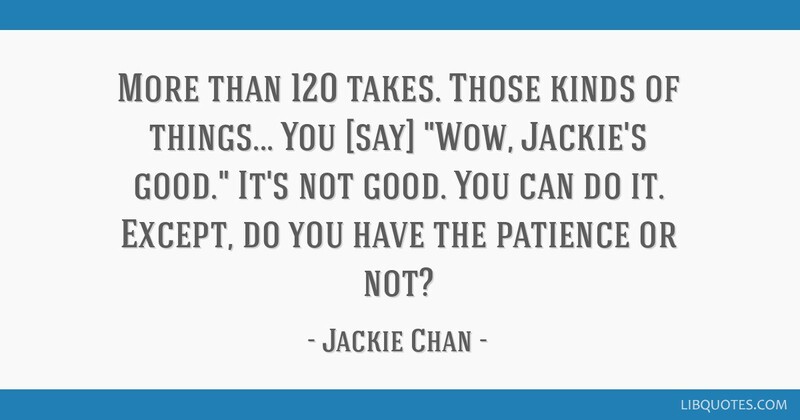 Those kinds of things... You [say] "Wow, Jackie's good." It's not good. You can do it. 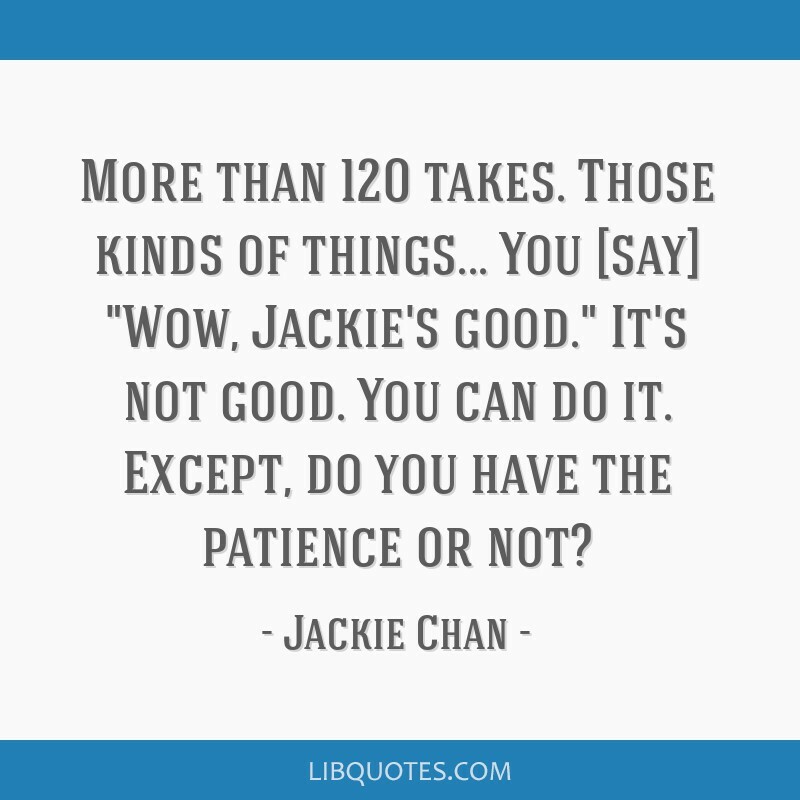 Except, do you have the patience or not?